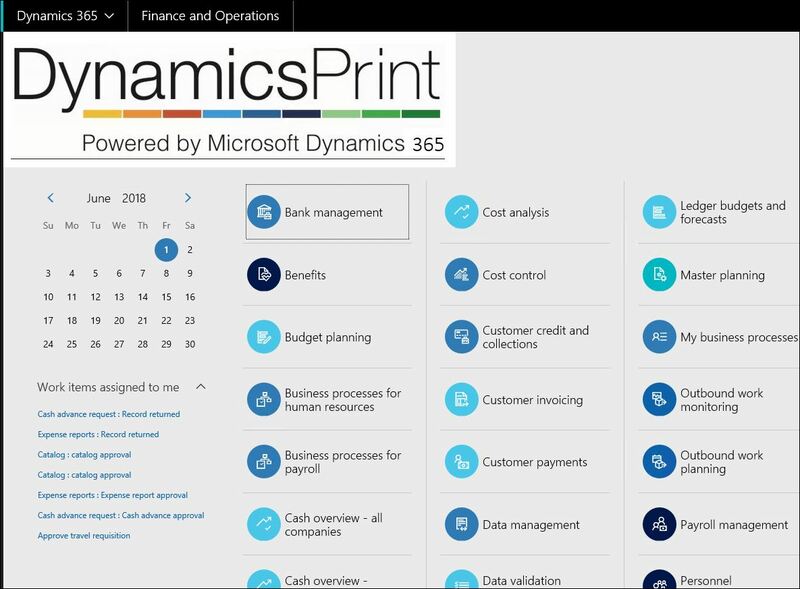 Microsoft Dynamics 365 for Finance and Operations including DynamicsPrint 365 is here. If you have been looking for an application that supports and connects all of your processes and departments including procurement, sales, logistics, production, projects, financials, service and business administration, and special designed for the printing industry, your search is over. Prepress, Sheet print, Rotary print, label print, packaging/cardboard manufacturing, finishing and binding.